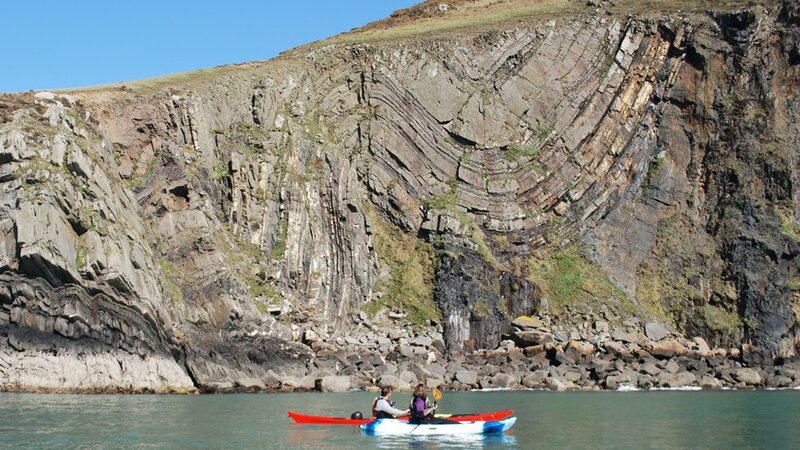 Former Welsh environment minister Jane Davidson continues her journey around the new all Wales coast path for BBC Radio Wales' Country Focus programme and finds that it is not just for walkers. 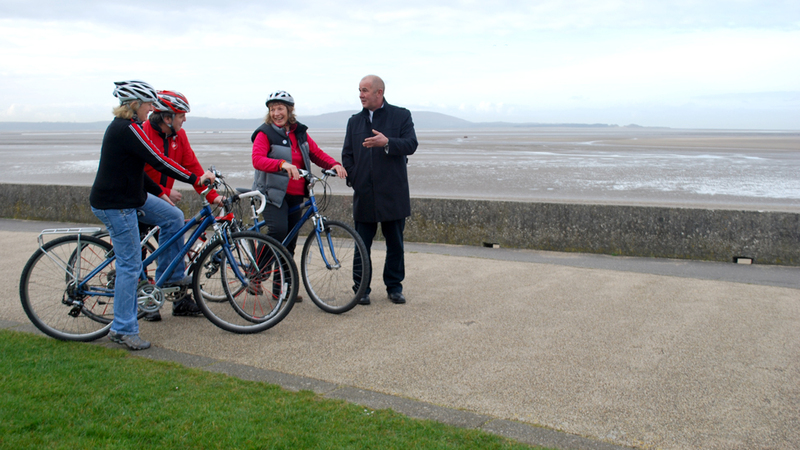 She gets on her bike at the Millennium Coast Park in Llanelli, meeting with manager Rory Dickinson and Peter and Sandra Jones of Merlin Cycle Tours. 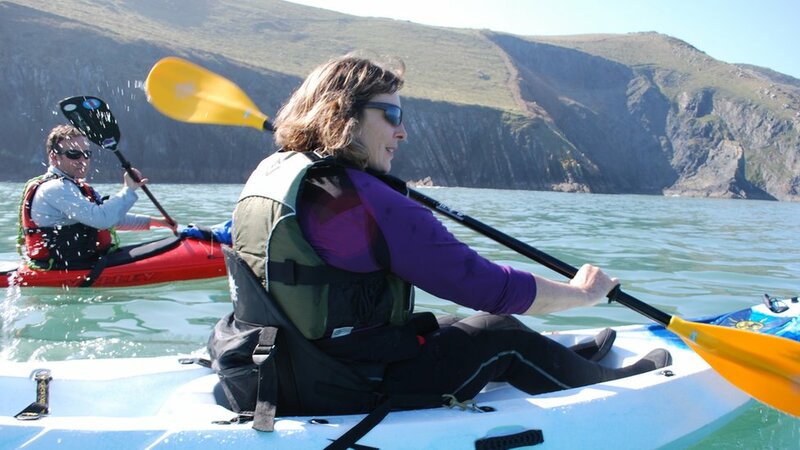 Jane Davidson joined kayaker Andy Middleton from TYF Adventure Activity Centre, St David's, in the sea at Dinas Head, north Pembrokeshire, for a different view of the path. 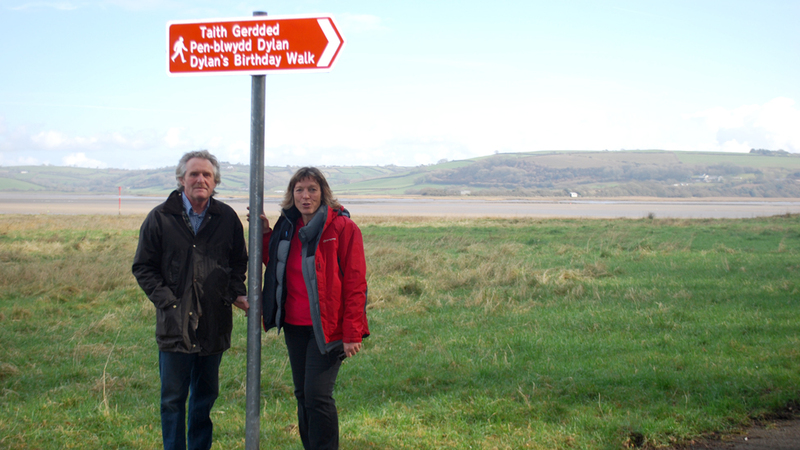 Bob Stevens created a birthday walk in tribute to Dylan Thomas's Poem in October which he was inspired to write about Laugharne, Carmarthenshire, overlooking the estuary. The All Wales coast path which covers 870 miles (1,400km) from Chepstow to the edge of Chester is due to be officially opened on 5 May 2012. 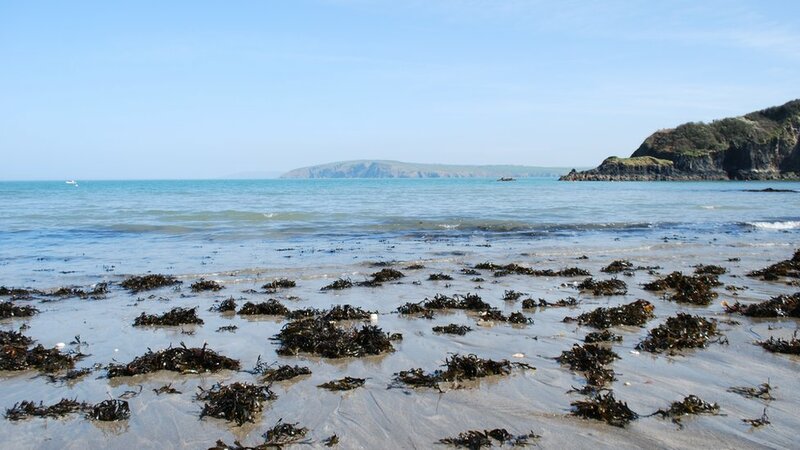 The route follows part of an area used for military training at Castlemartin Ranges in south Pembrokeshire with public access diverted during training. 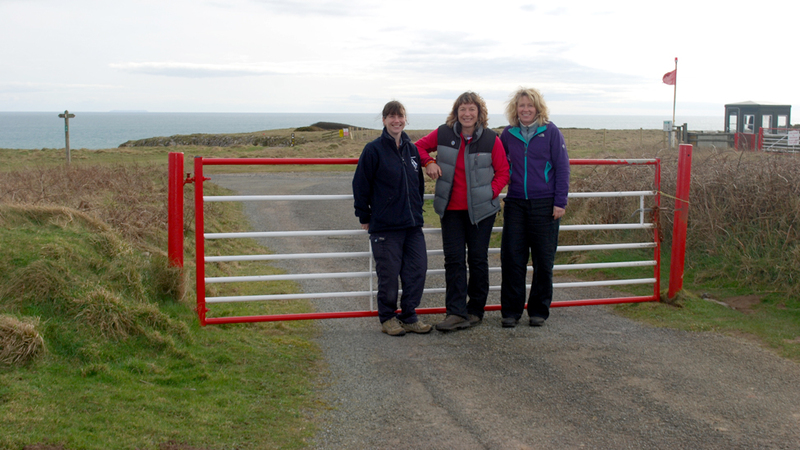 Jane Davidson is seen with Lynne Houlston from Pembrokeshire Coast National Park Authority and Lisa Payne from the Minstry of Defence's land management team. 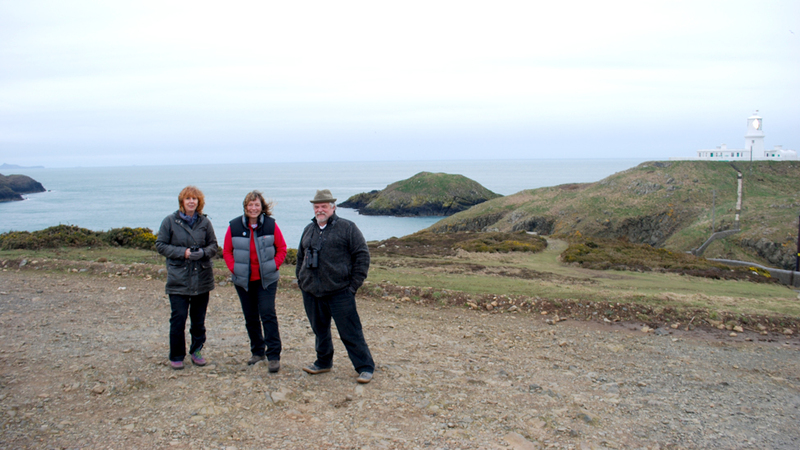 Part of Pembrokeshire is known as the "dolphin coast" and Jane Davidson learned more at Strumble Head, near Fishguard, from Cliff Benson from Sea Trust and Gaina McMorrin, chair of Fishguard Arts Society, who also explained why the area is regarded as inspirational to artists.